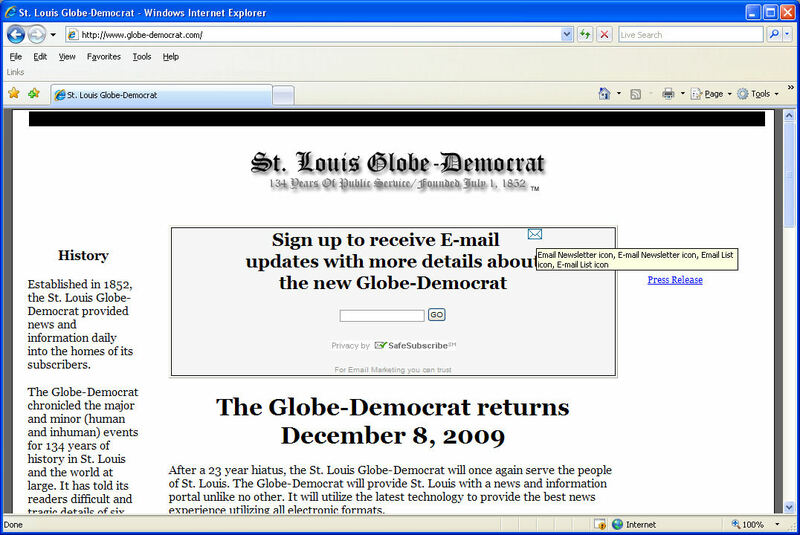 Defunct St. Louis, Missouri, newspaper St. Louis Globe Democrat plans to resuscitate itself after 23 years as a Web-only endeavor. Currently, the Web site only has a sign up page and promises news in December. I cannot wait to see the attention to detail and the quality control that they put into it when it launches. 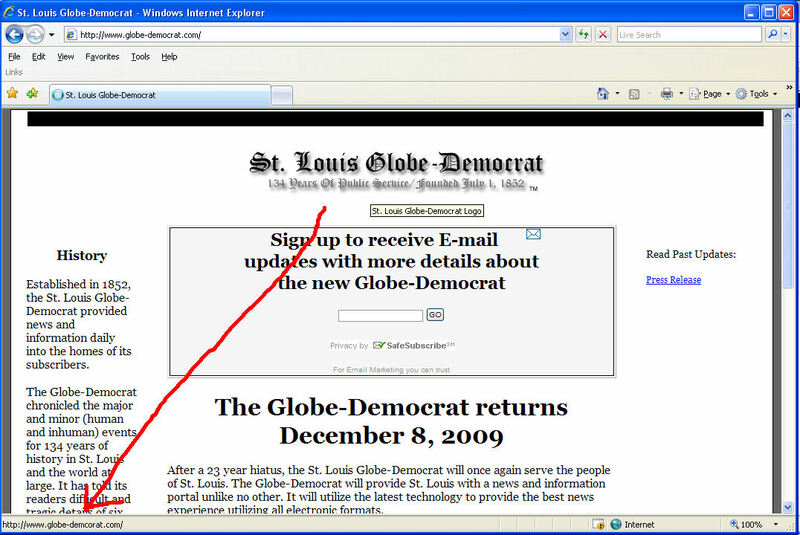 It might even rival the real paper in town, the St. Louis Post-Dispatch‘s Web site. That is one icon that is search engine optimized! UPDATE: Well, curses. I totally did squat on the mistyped domain, but someone over there was paying enough attention to fix the problems before any of you saw my Internet prank. Which is why I should probably stick to QA and leave the pranks to the b3ta guys. Does That Include A Web Paradox? Instead of going to a new page which would have the article, the link leads you to the current page. Or as we QAicists call it, a link vortex. 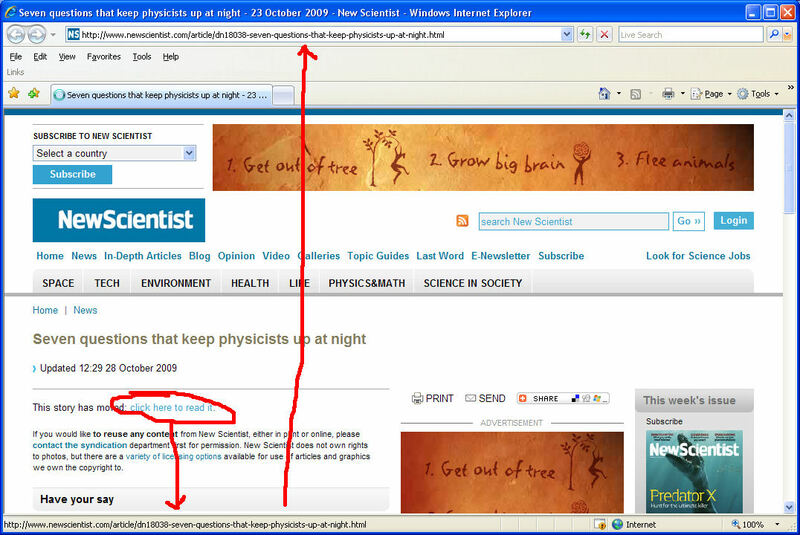 Posted in Failed Web sites | Comments Off on Does That Include A Web Paradox? Hey, Mets fans, that awful season was just a bad dream — if you believe StubHub. The company sent an e-mail Monday offering tickets for Mets’ playoff games. Apparently, the rude little raspberry was not limited to offering tickets to a single non-playoff team. I’m not sure if that reflects worse upon the marketing team or not. I bet many of them have been put on waivers, so to speak. How Many Bugs Does Autofill Cause? One can imagine that developer, cranking along bopping his head to some Shakira, coming to the place to insert a variable name in the code, typing a couple letters and then letting the IDE autofill the wrong variable name. A code review could catch that, I suppose, if you were diligent enough, but who has time for code reviews when there are deadlines approaching and no time to squander on anything but Rock Band Beatles in the lounge? 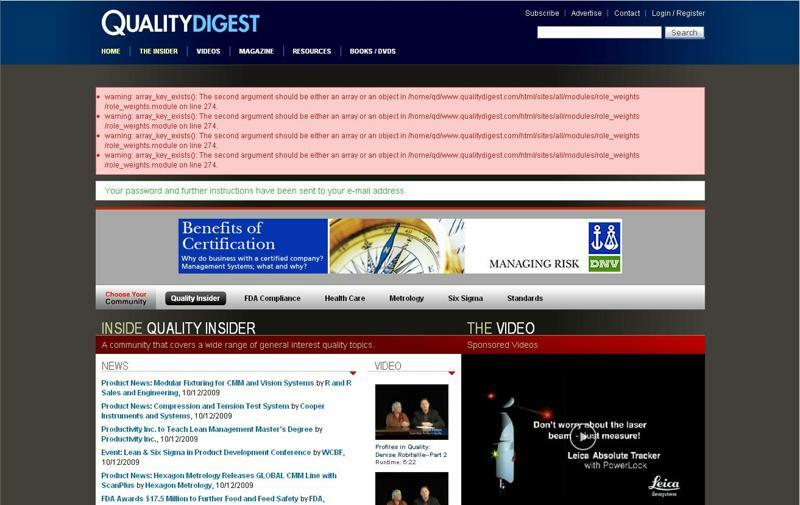 You know, I suspect that a magazine entitled Quality Digest is managed by magazine professionals and its Web site is managed by Web professionals. Sadly, neither of those groups include actual quality professionals. Leroy Lockhorn: Candidate for QA. Forget Asok the intern. Forget Sharon the possum. Any man who gets an elbow up on someone in a costume on skates is my kind of software testing professional. Sometimes, I wonder why I even bother putting my credit card into the datastream that is the Internet. So many of the forms fill me with a sense of deja vu, where I have flashbacks of logging defects against e-commerce storefronts as fast as I can type. Here’s an interesting tic one displays: In addition to masking my credit card number with asterisks, it displays the last four digits. And turns them all to 0s. Does that make you feel better about the site’s security? You are currently browsing the QA Hates You weblog archives for October, 2009.